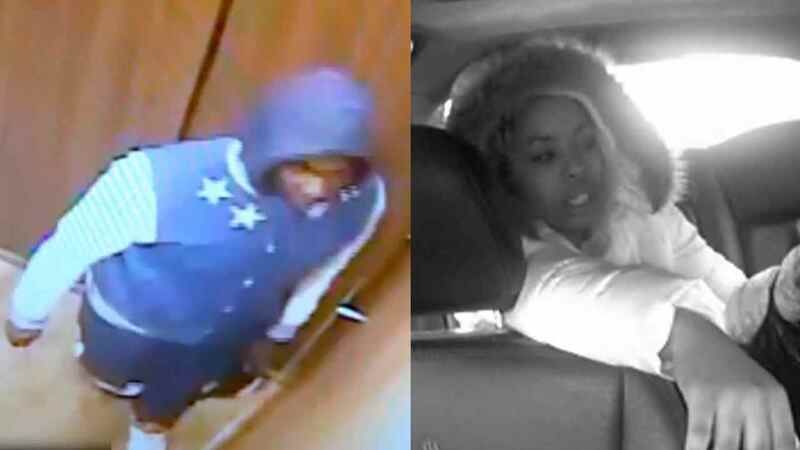 JAMAICA, Queens (WABC) -- Police said they are investigating the robbery of a cab driver by a man and woman in Queens. Around 7 a.m. Saturday, at Fourth Avenue and Pacific Street in Brooklyn, a woman posed as a customer and hailed down a cab. The driver took her to 148-19 90th Ave., where she called a man to come downstairs and pay for the cab ride. The man went up to the driver, threatened him with a gun, and stole his cell phone and cash, according to the New York City Police Department. He then ran into 148-19 90th Ave., and the woman fled west along 90th Avenue. The woman is described as black, 17 to 25 years old, 5 feet 1 inch to 5 feet 4 inches tall and 120 to 150 pounds. She was last seen wearing a white coat with a fur lined hood. The man is described as black, 25 to 32 years old, 5 feet 6 inches to 5 feet 9 inches tall, and 160 to 180 pounds. He was last seen wearing a blue and white jacket with "00" on its back, a blue hooded sweater, white sneakers and dark colored pants.